There are three foundational elements to discovering and incarnating our identity in Christ: Accurate self-knowledge, wholesome self-acceptance and appropriate self-expression. Accurate Self-Knowledge. First of all I have to know who I am in Jesus Christ. While psychology (and the other social and natural sciences) can be helpful here, the kind of self-knowledge I need is broader and deeper than the merely empirical. Psychology tends to offer us insights that are differential rather than integrated. What I mean by this is that psychology and the other sciences tend to look at the parts instead of the whole. A holistic, integrated vision of the person transcends the merely quantifiable. Consonant spiritual formation requires is a transcendent form of self-knowledge. It isn’t enough to understand the different pieces of our life. We need to know how those different pieces fit together and work (or not) to help us become more like Christ. Wholesome Self-Acceptance. This isn’t a matter of saying “I’m Ok, You’re Ok” to borrow the title from Thomas Anthony Harris’s bestselling self-help book. While you and I are both ok in some ways, we are definitely not ok in others. (In fairness, though optimistic about the human person, Harris doesn’t argue that everything about us is morally good. A major motivation for writing the book is to help people overcome dysfunctional modes of relating to self and others.) Like self-knowledge, self-acceptance is self-acceptance in Christ. This means I know accept not only my strengths but weakness; my sins as well as my virtues. Without self-acceptance, repentance is impossible. This is because I refuse to acknowledge my own sinfulness. Other times (and sometimes at the same time) my lack of self-acceptance means I remain indifferent or ignorant of the presence of God’s grace inviting and fostering my transformation. Appropriate Self-Expression. Challenging as they are, self-knowledge and self-acceptance are still relatively easier than the third element of spiritual formation. Learning to express myself appropriately requires that I take into account not only who I am but also who I’m speaking to as well as the immediate and broader context of our conversation. So for example, ways of talking that are perfectly appropriate between a father and his child are not appropriate when a husband is speaking with his wife. Or, to take another example, though my preaching style tends to be informal it isn’t as informal as how I speak with my friends when we go out to dinner. Self-expression in Christ is a matter of both prudence and technique. I need to first understand the situation (“prudence”) and then, based on this understanding, have the practical ability (“technique”) to express myself in ways that make sense in the moment. While I’ve emphasize the theological character of spiritual formation (i.e., becoming who God has called me to be in Christ), everything here is to some degree applicable to all human beings. The reason is because spiritual formation isn’t concerned simply with fulfilling a series of formal religious obligations—even if those obligations are Christian in nature—but of fostering the flourishing (or lasting good) of the person. And though we are concerned here with the person, this model of spiritual formation isn’t limited to the person. Communities too need to know and accept themselves. They also need to learn how to express themselves in healthy ways. Forming healthy communities (whether Christian or not) is first of all a matter of helping members realize their own personal vocations within the community. But just as the person is always part of a community (in fact, multiple communities), the community itself is part of the large society and ultimately the whole human family. This means a wholesome community fosters not only the good of its members but does so with an eye to serving the common good of the wider world. 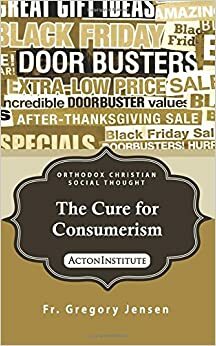 This concern for society will necessarily be less concrete, more diffused than the community’s concern for its own members of the person’s concern for his or her own spiritual formation. Learning to move back and forth between the different levels of spiritual formation—personal, communal and social—is one of the chief tasks of our life in Christ. While we can’t neglect any, we don’t have the same moral responsibility for fostering human flourishing in each dimension. My responsibility become less as the horizon of my concern becomes wider. Failure to take this into account is one of the chief failures of spiritual formation. Wholesome spiritual formation requires balancing the personal, communal and social dimension of our Christian life. While the latter two are important, finding the right mix of all three begins in our personal spiritual formation. Without accurate self-knowledge, wholesome self-acceptance and appropriate self-expression, our social involvement will inevitably become dissonant and we risk doing a lasting harm to our own relationship with Christ.